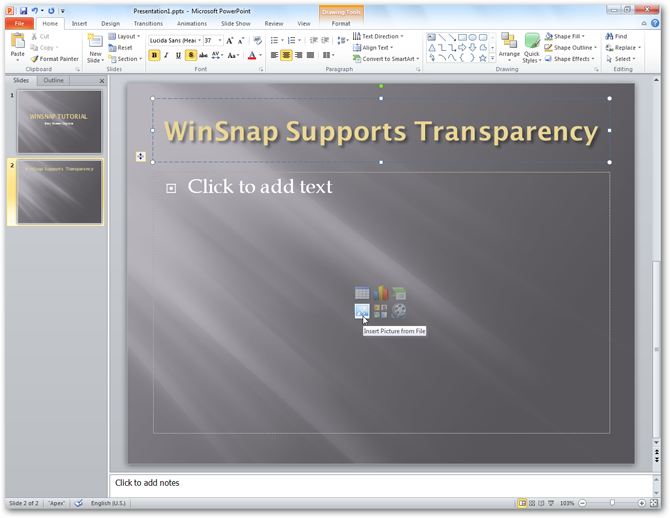 Below is a step-by-step guide on how to insert a screenshot with transparency into a PowerPoint presentation. 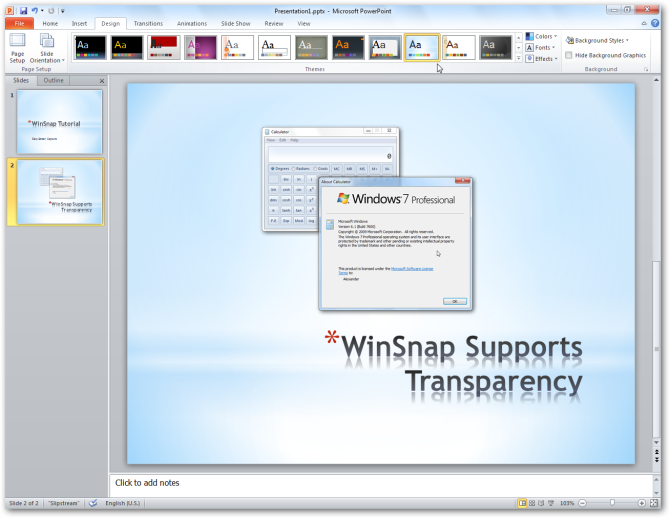 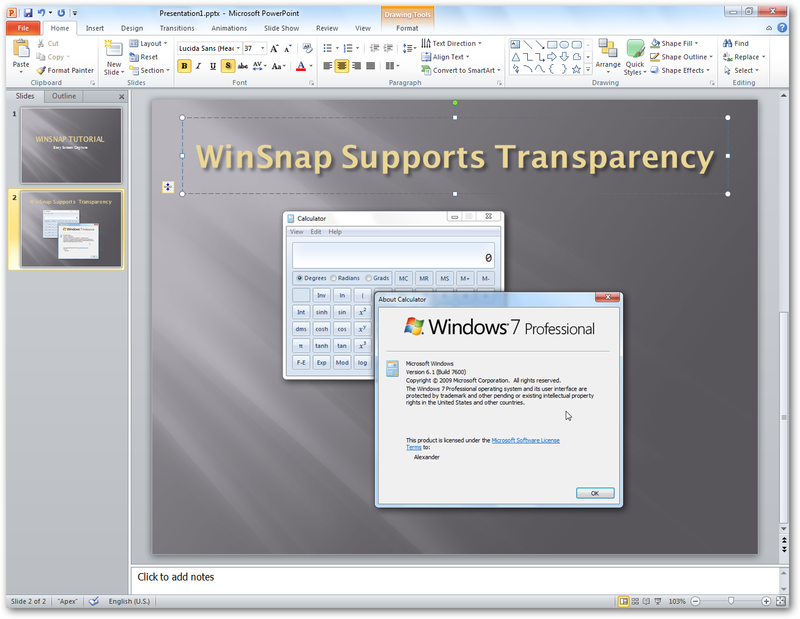 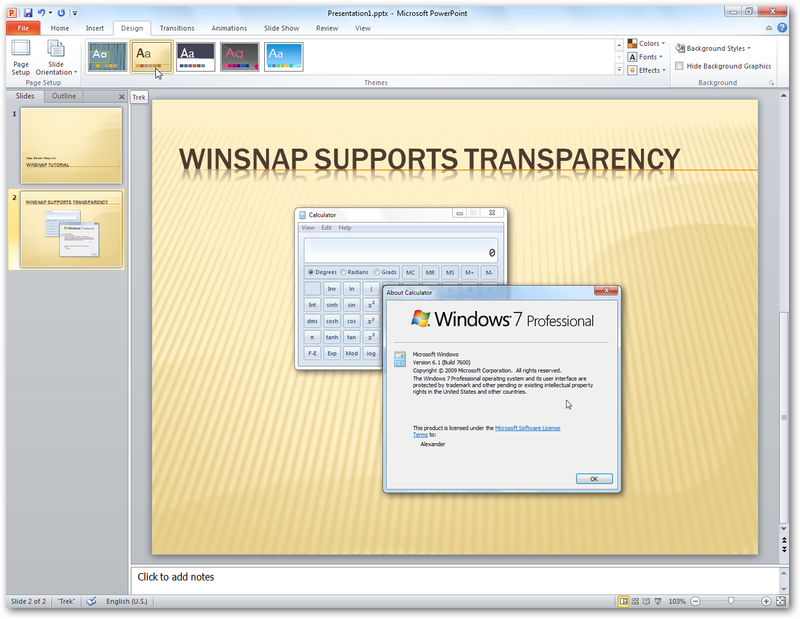 Step 1: To save a screenshot with transparency in WinSnap, click the "Save" button or press the Ctrl+S keyboard shortcut. In the dialog that appears, choose PNG image format and enable the "Transparency" option. Step 2: Now insert the saved screenshot into your PowerPoint presentation. 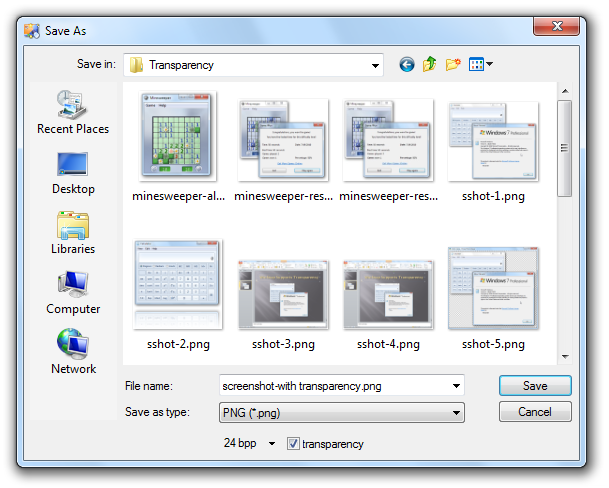 To do this, click the "Insert Picture form File" toolbar button. 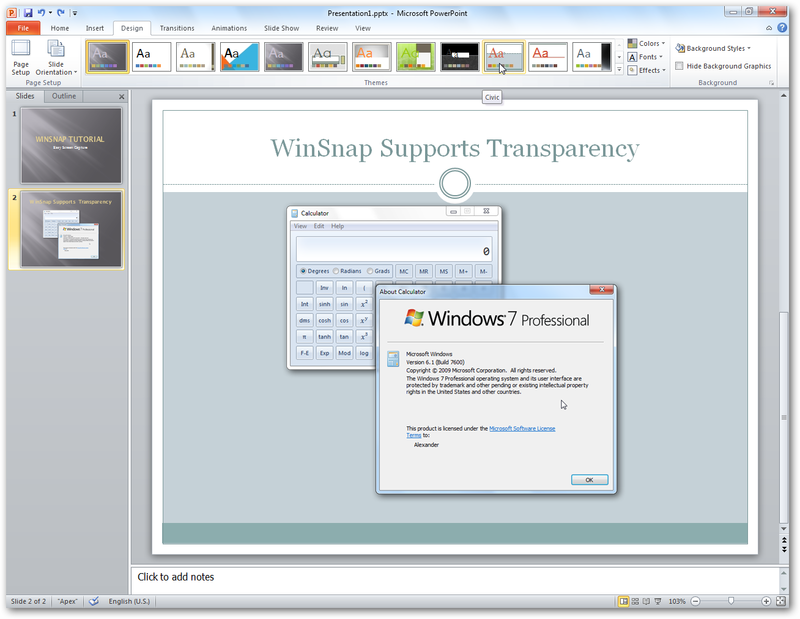 Step 3: Then select the screenshot you have just saved with WinSnap. 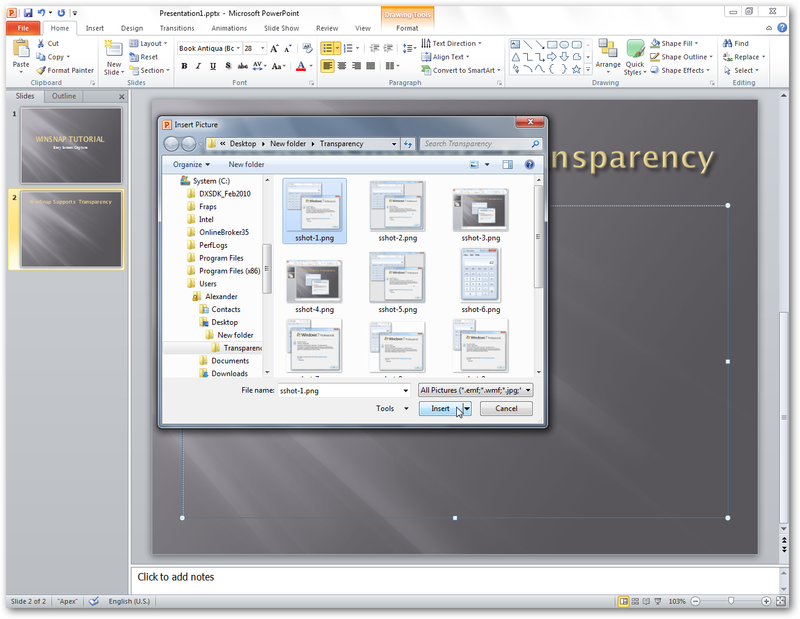 Step 4: Done! A screenshot with transparency is put into your PowerPoint presentation and looks perfect. You can adjust the background of a presentation, or add another screenshot or image with alpha-channel – due to transparency there will be no any glitches on the final frame of your presentation. 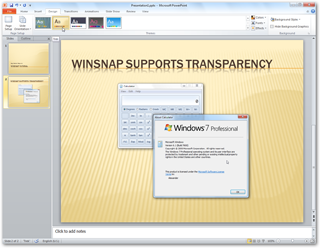 Take your time and get the best results! 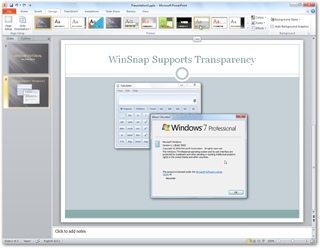 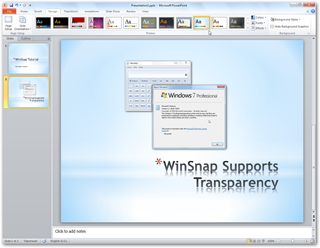 Use WinSnap to create high-quality screenshots for your presentations and web graphics.